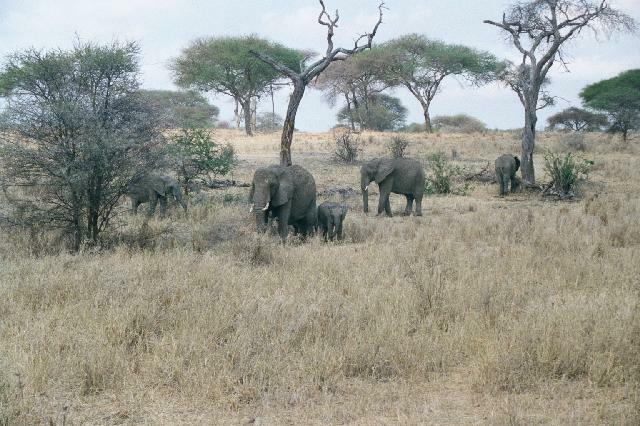 Tarangire National Park is the closest, hence also the most well connected, of the 4 big parks to the civilization. This is the only park which can be reached on metaled road and hence the only one which does not force you to eat the dust generated by your fellow travellers on the road. 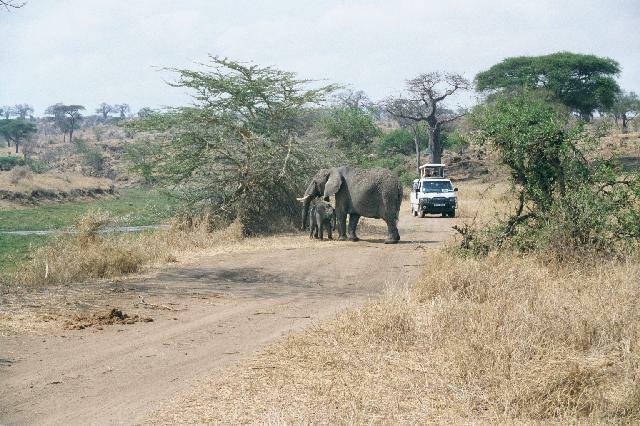 Tarangire is famous for the elephants and the baobab trees. In fact the number of elephants have reached a level where it is beginning to give a real headache for the authorities. After their only natural enemy (us, that is) decided to protect them, there is nothing to keep their numbers in check. There are about 2 elephants per sqkm in this park and the animals are converting the entire area to a vast desert; at an alarming rate. Elephants eat a lot and destroy much more than they eat and they can easily make an Atacama out of an Amazon or a muddish swamp out of a Superior or a Titicaca in a blink of an eye. In fact the water supplies to these areas (camps and lodges) are always broken because a herd of elephants in a bid to quench the thirst have dug open and destroyed the pipe lines under the ground! In fact of all the animals in the park, the only ones to consistently charge at and attack a safari vehicle are the elephants, mainly due to the fact that they are one of the few animals to look down upon (literally that is) these noisy machines. We saw a mother elephant charge at one of the vans when it came a bit too close to her calf for her comfort. Luckily no damage was done. As they say: Free access to the fields, but the bull charges! Very true in Tarangire. Apart from the pachyderms, there are lots of baboons, giraffes, herbivores and also a few lions in the park. The giraffes found in these region, known as the Masaai giraffes, are the tallest of their kind in the world. These tall creatures are known to give birth standing, resulting in the young ones getting a rather rough welcome to the world. The fall serves as a thump on its back to make it start breathing and also helps the breaking of umbilical chord. This 2600 sqkm park is certainly worth a day or two of your lives. 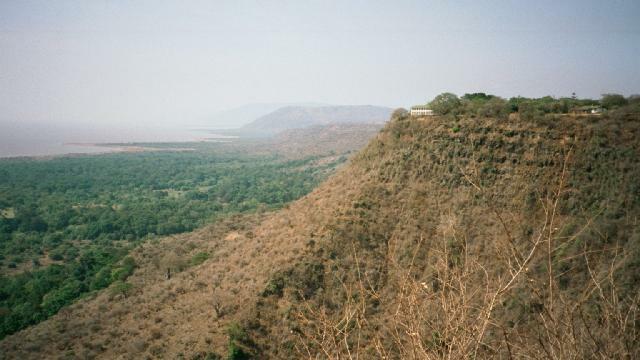 Lake Manyara National Park stands out among the national parks due to its greenery. It is one of the few parks which is as much rich in flora as fauna. It is densely forested with big trees and presents a different picture to the eyes of the traveller which by now should have been sick of seeing the vast savannahs of East Africa. This park also presents a wonderful example of the great rift wall. The approach to the park from the north greets the visitor with the spectacular views of the thickly forested park, the lake and of course the rift wall. 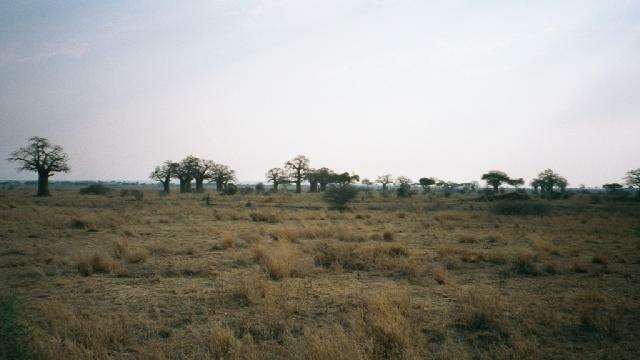 This park is relatively small - 325 sqkm - and with a density of 7 per sqkm, this park houses more elephants per sqkm than any other park in Africa. This reason coupled with the fact that every other animal can easily get lost from your sight within a few metres from the car due to the thick undergrowth, is responsible for the tourist spotting nothing other than these pachyderms in a typical 2-3 hr game drive in the park. Monkeys, mainly because they are not as afraid to come near the roads as the other animals, are the next widely spotted animals in the park - especially the baboons and the vervet monkeys. The park is very famous for the tree sleeping lions. Nowhere else can you spot the lions climb trees with the dexterity of a leopard. We did spot a few sleeping lions, but unfortunately they were sleeping under the trees instead of on them. The drive near the lake would allow you to spot a few more animals and birds especially the flamingos which are found in huge numbers in and around the lake. I, like many, used to wonder why these birds always stand on one leg. I was told that the reason is to conserve body heat. These birds can save upto 50% of their body heat by tugging one of their legs under their belly! The camping in Tarangire and Manyara is generally outside the park limits and in Manyara, it is actually in the heart of a small town. In case you are continuing on to the crater and serengeti, this is the place to have a long shower, good enough to hold for a few days, and to stack up your car with milk, water, beer etc.